Or, how I marathoned thirteen seasons of a show based on a video game I’ve never played. I have never played any “Halo.” In fact, I haven’t played any first person shooters, unless you consider ten minutes of “Overwatch” at a friend’s house. One of my friends tells me that “Halo” has a rich story and some great world-building, but without playing the games I never felt confident delving into it. The world of Halo was there for other people to enjoy, I had my unaffiliated fantasy verses. 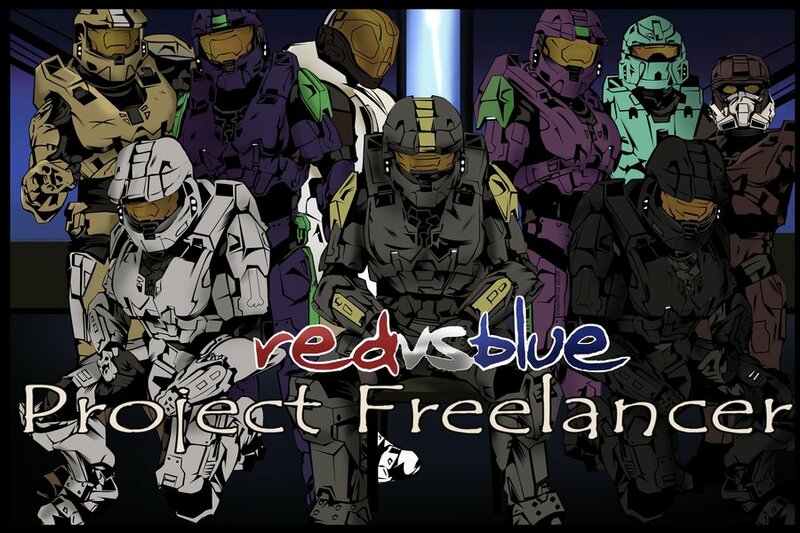 Still, I had a number of friends into “Red vs. Blue,” a funny series about two opposing human armies set in the Halo universe. Eventually, I folded and decided to watch it, despite my lack of knowledge regarding the setting. It turns out I didn’t actually need that knowledge. “Red vs. Blue” is a machinima—a series that’s filmed using the graphics of an actual video game, usually with actors doing voice overs. 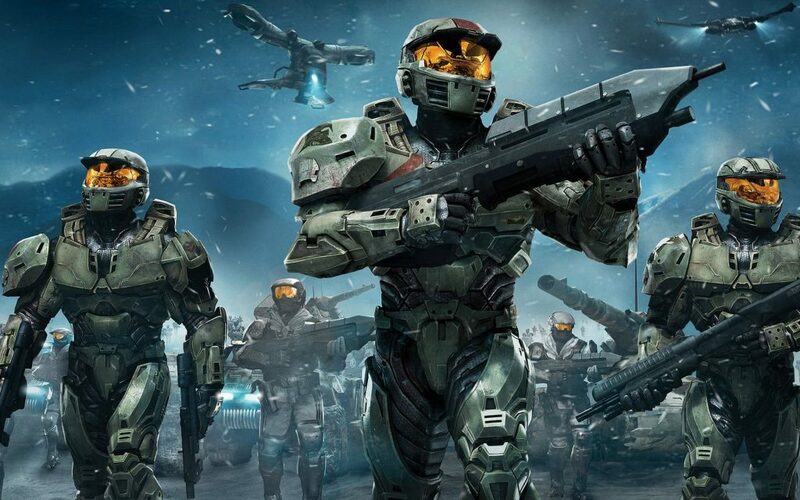 The series, however, is only part of the Halo world by the loosest of definitions and the style of the armor—it turns out that you don’t actually have a lot of familiarity with video games to appreciate it. The humor, however, is incredibly approachable. Predictable but nevertheless funny, like most Saturday Night Live skits, at it’s worst, and deep, nuanced, and hilarious at it’s best, like this joke, literally the first one of the series. 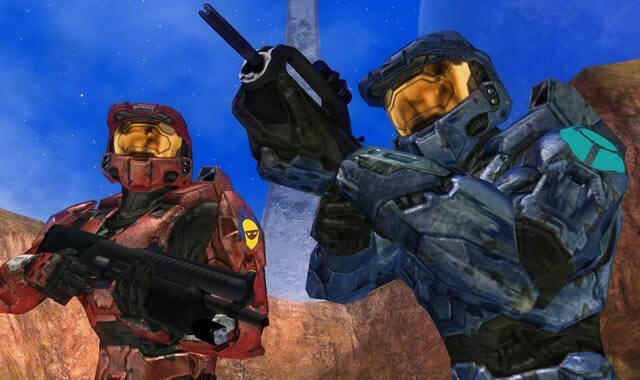 “Red vs. Blue” definitely has its ups and downs, but there’s a reason that I watched all thirteen seasons in the span of two weeks, even without any familiarity with the “Halo” franchise. Again, a lot of the time, it doesn’t use the most sophisticated humor, but it’s absolutely hilarious all the same. I’ve definitely had a couple of moments where I’ve had to cover my mouth while watching “Red vs. Blue” late at night so that I don’t wake anyone up with my laughter. And then, as if to make up for the easy stupidity of a large portion of the series, when “Red vs. Blue” gets deep, it gets deep. For one thing, there’s the cavalier attitude with which the series approaches death, an important theme in a show that is, in the end, about war. Most of the time, the characters joke about killing each other, on and off team, but occasionally things get serious. One might think that when the plot takes a turn serious enough to actually kill a character, the others take the time to reflect on what that means, and perhaps even mourn. The genius of “Red vs. Blue” is that the series sets up those emotional moments (there are somewhere around four funeral scenes in the first four seasons), and then completely ignores them. Characters that hate each other when they’re alive will continue to trash talk their rivals, even in front of their corpses. This logical consistency really helps ground the watcher in a world that otherwise doesn’t make a whole lot of sense. The audience understands that, although a character deciding that acquiring Oreos may now the most important thing in the world to them, the show does follow some rules. It’s just like in “Who Framed Roger Rabbit,” in that even the most absurdist worlds have to operate under some kind of internal logic. There, Roger could only escape once it was “funny” to do so, and here, the soldiers insist that they don’t care about each other, even as their situations rapidly change from comedic to dramatic. The Freelancer arc is probably one of the best examples of this sort of mood shifting. The Red and Blue teams are made up of hilariously incompetent soldiers who create a lot of the comedy and a surprising amount of the plot with their inability to perform seemingly simple tasks. The Freelancers are the opposite of the colored team soldiers in every way. They’re not only competent soldiers, they’re enhanced, better at their jobs than any normal human can ever hope to be. A single Freelancer can decimate an entire team, and their presence tends to put the rest of the group into context. The Reds’ and Blues’ antics, which felt so important just five minutes before a given Freelancer showed up, suddenly pale in contrast to the very real danger the Freelancers bring with them: corrupt government agencies, human experimentation and gross abuse of power. And yet, the team soldiers still manage to be relevant. Their incompetence still drives the plot, they bicker and whine and act like anything other than the soldiers the Freelancers so desperately want them to be. They provide the heart to the Freelancers’ intense emotion, an often necessary balance. And finally, any fan of “Red vs. Blue” can go on and on about Monty Oum, the brilliant animator behind all of the fight scenes in seasons 9 and 10. Those fight scenes can be described as nothing less that pure cinematography, especially after watching 9 seasons of a machinima whose graphics quality only improved as new “Halo” games were released. Even without that background though, the fight scenes in the Freelancer arc are beautiful. They look great, they’re innovative with both their use of technology and unarmed combat, and they all have either heavy emotional or storyline significance. I won’t lie: There were times when I was watching “Red vs. Blue” where I closed my computer and asked myself, “Why am I watching this?” and almost gave up. Sometimes the jokes get a little too repetitive, and the mocked but nevertheless ever-present sexism is a lot to deal with, especially when marathoning. But when I watched seasons 9 and 10, I was thankful that every time I closed my Netflix account, I opened it back up again, because this was art.